The Hot List is a curated lineup of the most in-demand newcomers in the business. These are the girls who conquered the runways, snagged spots in the very best campaigns and lookbooks and made editorial waves in top tier magazines - all within a season or two. Consider this the scoreboard for fashion rookies and foreshadowing for the Top 50. These young ladies are the future, the next generation, the first round draft picks of the modeling industry. Before you can make it to the big leagues of the Top 50, you prove your stuff here. Aaliyah's gap-toothed smile and endless charisma are going to bring her places. 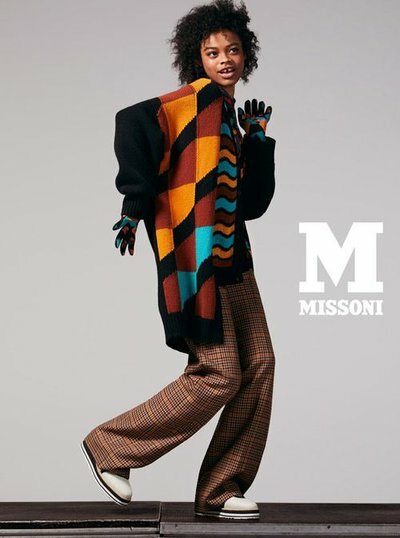 You could say it already has, if those places are campaigns for Missoni, Chloé, Marc Jacobs and a portfolio chock-full of shoots with British Vogue, Love Magazine and Numéro! Anyelina’s 2018 campaign CV says it all: from high street (Zara by Meisel) to sportswear collab (Reebok x Victoria Beckham) and luxury (Max Mara again by Meisel), this Dominicana is emerging as one of the lucky few able to diversify her bonds. It was on from the jump: Ariel’s career began in 2017 with American Vogue and Calvin Klein, and has continued through 2018 working with only the best of the best — Inez and Vinoodh, Mert and Marcus, Marc Jacobs, and Miu Miu, to name but a few. Ariel’s star potential has never been in doubt. Talk about the company you keep, Aube has already been thrice in front of Meisel’s lens for the Moschino, Marc Jacobs and Zara campaigns. Tack on a Bottega Veneta campaign for good measure and basically the Haitian model who we first saw in Yeezy's show in 2016 is coming into her own and absolutely owning it right now. Dutch export Bente Oort must have a fashion fairy godmother because since her debut in 2017 she’s had nothing but outstanding labels attributed to her name. Runway is a given with her being a mainstay for Burberry, Prada, Celine but what really seals the deal is who books you after the runway lights go down. 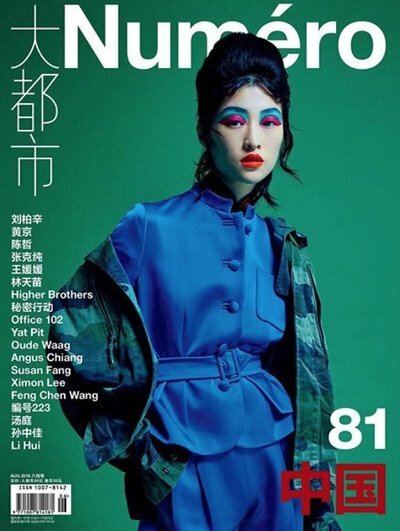 Magazines have told another part of the story with covers for Document and CR Fashion Book Japan and editorials shot by Steven Klein, Mario Sorrenti, Harley Weir and Craig McDean. Gamine new face Chu Wong has been steady rising since her debut walk at Versace. She went on to nab top spots walking for the fashion elite - McQueen, Givenchy, Dior, Wang, just a small selection of an unbeatable showiest. Editorials in Vogue China, Harper’s Bazaar, Self Service, Garage brought her to the attention of many but a Balenciaga Pre-Fall campaign was a co-sign that sealed the Hot List deal. Clementine was welcomed into LV’s cabal of cool straight out the gate, going from show exclusive to a campaign double whammy for the brand. 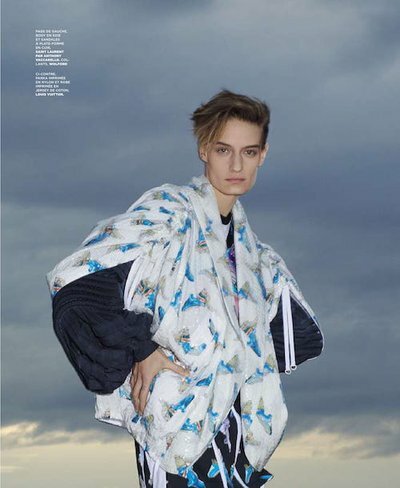 But it’s not just Ghesquière & co calling; Paolo Roversi, Craig McDean and Viviane Sassen are amongst the many drawn to Clem’s patrician/provocateur appeal. Dipti Sharma has quickly defined herself as an insider’s known name. Hailing from Rudrapur, India she’s got clients like Balenciaga, Marc Jacobs and Versus Versace making her a go-to. Glossies like Harper’s Bazaar and Vogue Italia and even more punch to her ever-growing portfolio. With a fiery red shag cut and porcelain English rose beauty, Edwina has become a go-to girl for clients seeking that retro, nostalgia-laced look. And with a Self Service cover and campaigns for Mulberry and Gucci, it seems Edwina’s evocative edge has her evolving from indie darling into full-fledged fashion fixture. 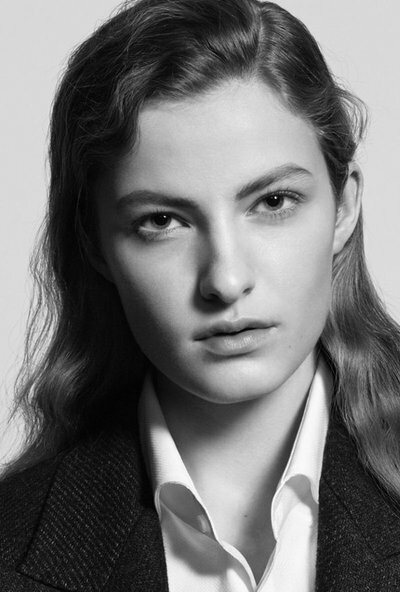 The versatile Emily Gafford is a dash of Stella T, a bit of James Dean and a grab bag of great angles. Of late, she’s shown up in Emporio Armani and Versace campaigns and scored some almighty Vogue tears, putting the Floridian on the hot list map. 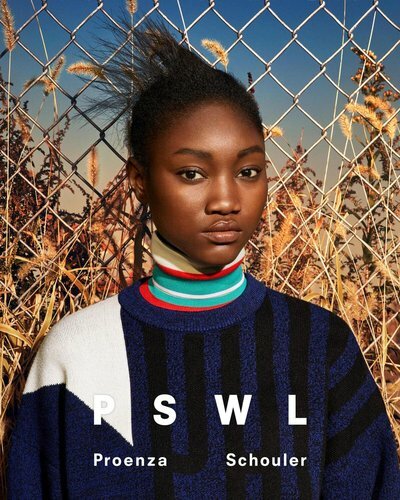 Ever since Prada exclusive Eniola made her debut at the top of 2018, this cherub faced top walker has been busy coming to a billboard near you. Whether it was Calvin Klein, Proenza Schouler, or Miu Miu the Nigerian new face has garnered as much public interest as she’s been stacking up a killer show season. And don’t count editorial out either! 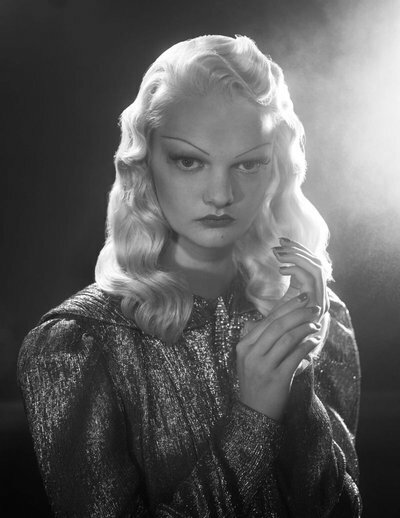 She’s racked them up too in the pages of Pop, Dazed, W, and i-D. Gifted with heaps and heaps of Dutch appeal, Felice Noordhoff has been sweeping the industry off its feet since her exclusive first walk at Prada. She’s already nabbed Givenchy and Vanlentino campaigns at the top of 2018 and her close-packed editorial list reads beautifully: Self-Service, Vogue Netherlands, Double and Pop. Gisele’s gamine gorgeousness first turned heads at the F/W 17 shows in Milan. Since then, the potential for a major moment has been building to a crescendo. S/S 2018 campaigns for Coach (shot by Meisel) and Prada (shot by Vanderperre) have carried the momentum… but we certainly sense there’s more to come. Signature identical beauty marks give Giselle her edge, but its her West Sussex-bred model moxie that keeps them coming back. It all started on the runway with an exclusive J.W. Anderson opening walk. Flash forward and now she’s got all the shows. 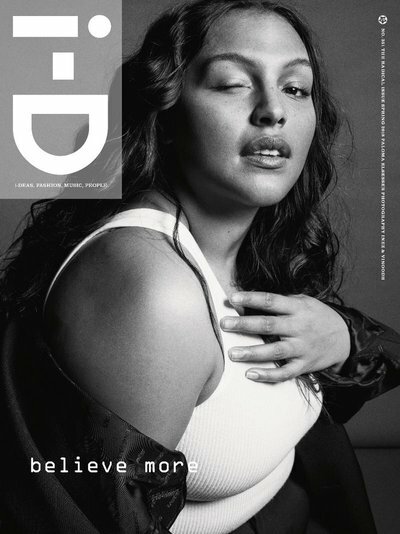 Editorials for Self Service and i-D and a major Dazed cover indicate she’s fit and in fighting shape. From the class of S/S 18 newcomers, we once described Motler as a heavenly sprite, a labeling that’s apt still. She was that then and is now, only now she’s got a track record with top industry personages to back up her loveliness. Meisel shot her twice for Versace and Coach campaigns, and editorials in British Vogue, Pop, Document, Interview, Purple, Love, for example, paired her photographers at the top of their class like Willy Vanderperre, Alasdair McLellan, Aneglo Pennetta and Theo Sion. Since her arrival, Hayett has always had a simpatico place in the heart of fashion. Just now her bookings have become leaner and meaner and Hayett more distinguished. That Alasdair McLellan-photographed Tory Burch campaign proves being picky pays off. Casting directors took a liking to Heejung Park after her standout S/S 18 show season. It’s easy to see how–the South Korean model with jet black bangs has formidably feline features that are awesome from every angle. Ever since, her career has been ready to lift off–Versace’s F/W 18 campaign by Steven Meisel can only serve as a launch pad. 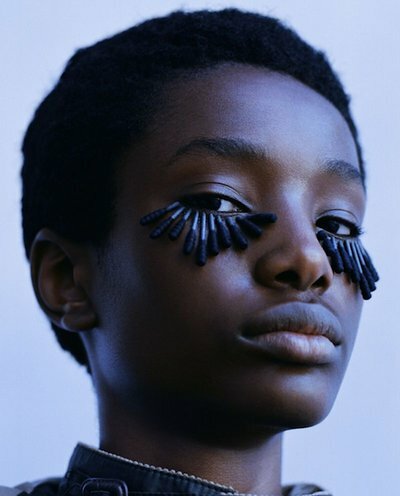 An exclusive debut in Marc Jacobs last year set the pace for Imari Karanja's skyrocketing career. Since then she's jumped to the major leagues of campaigns - the real signifier of top-tier talent. Prada, Versace, Tom Ford, Valentino - they've all bet on this natural beauty with charm and grace. Doesn't hurt that her editorials aren't too shabby either - it's not every day CR Fashion, Dazed and Pop call you up! Since Indira Scott's exclusive debut at Dior Resort 2018, this one of a kind beauty has stacked top shows like a veteran player. 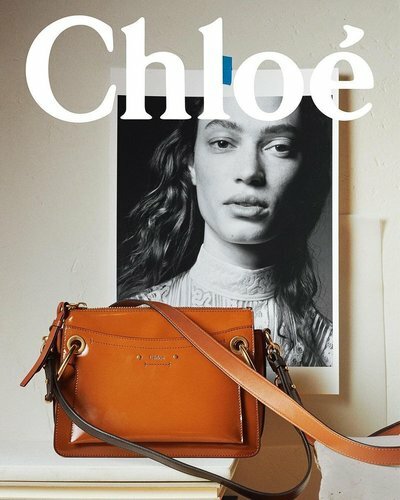 What really steps her up from new face rookie to one on the rise are editorial bookings with Document Journal, Harper’s Bazaar and a Coach campaign. Absence makes the heart grow fonder... and a Pat Benatar-esque shag cut bob helps too. 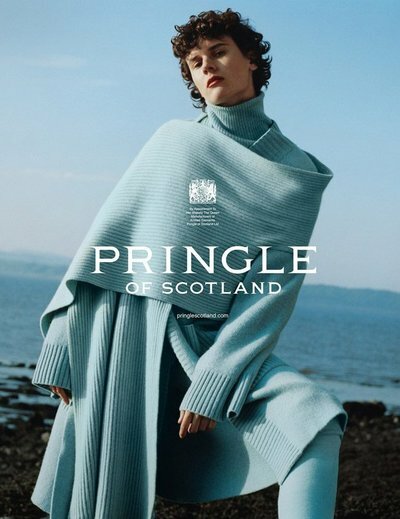 Jamily is back after a break and she's hitting us with her best shot: a phenomenal show season, Pringle of Scotland campaign, and a Re-Edition cover all point to this Brazilian's retro-futuristic fabulousness and enduring appeal. Ugly worldwide? We don’t think so. One thing is for certain is Jazzelle dances to the beat of her own drum - with sure fire results! 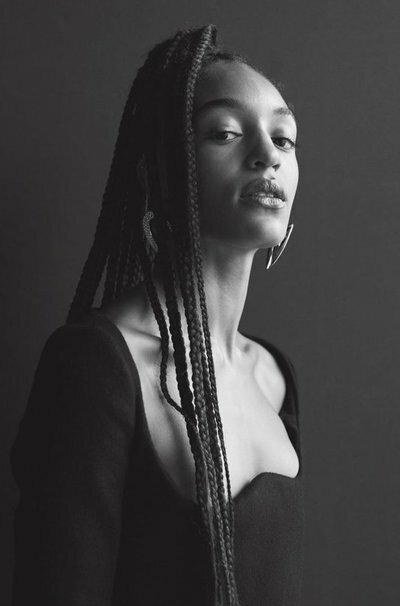 The sensual, quirky beauty has had a great year landing an i-D cover, editorials for British Vogue and Vogue Mexico, and as one of the faces of NARS and Savage x Fenty. Her club kid personality ensures she’ll be the talk of the town. There is only one Jess Cole and she's appealed to the industry’s want of the cutting-edge. 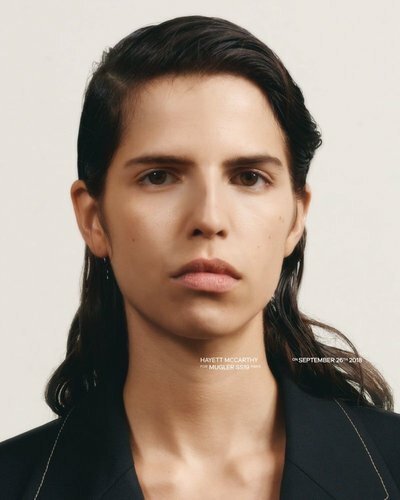 As distinctive and whip-smart as Jess is, it’s easy to understand why she's ahead of the editorial curve: Numerous Vogue’s internationally, Dazed, W Magazine, i-D, Le Monde and covers for Vogue Portugal and Zoo. What’s more, brands like Mugler, Céline and Burberry found her perfect fitting for their campaigns. A steady show girl, Jessie Bloemendaal has been able to convert the runway into the big bucks with Tom Ford Beauty and Max Mara campaigns, along with editorials in W, Numero, Self Service, and Document. A sure favorite amongst the Vogue sect she’s appeared in the international editions in Italy, Japan, Germany, The Netherlands and Australia. Adwoa might have been the first in the game, but little sis Kesewa is not in her shadow. Her own bookings are a fashion rolodex of the British heritage brands from Alexander McQueen to Burberry to LOVE Magazine to British Vogue. Sprinkle in the ads from Marc Jacobs Beauty and Miu Miu and you get a shortlist showcasing her measured rise. Cute to the hilt, Lily Nova leveraged her ginger curls into campaign clinches once she debuted down Gucci’s runway. Miu Miu thrice tapped the Adelaide model for ads and since then Marc Jacobs, Sonia Rykiel and Red Valentino followed suit. Miss Nova’s lovely looks in top shelf editorials like Vogue Italia, W, British Vogue and Love are only a natural fit. A perfectly pretty pixie, Lucan Gillespie, took her boy-cut all the way to top bookings. 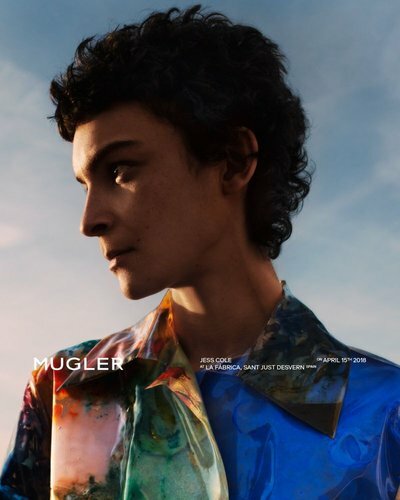 The English model’s pivotal year included campaigns for Miu Miu, MSGM and Mulberry, snagging some serious editorials along the way in American Vogue, Love and W Magazine. Go the ‘fro: since landing on the scene fresh from the DR, Manuela’s stoic beauty has had fashion’s key players hooked. A catwalk fave since her Saint Laurent show exclusive back in S/S 2017, now Manuela, with her work for Dior, Carolina Herrera, Dior and Prada, has proven that she’s just as powerful in print. With Versace, Miu Miu, Max Mara and Zara under her belt, Trinidadian Naomi Chin Wing has been unstoppable as one of the rising faces on the modeling scene. British Vogue, Vogue Italia, and i-D and have all casted the Caribbean export in the multiples and lets not get start with her runway list. She’s a Saint Laurent fav and designer go-to. This great Dane has more top names in her book than in your closet - Chanel, Stella McCartney, Versace Jeans - and that's just the beginning. Magazines like Vogue Italia, Wonderland, Harper's Bazaar and WSJ have been calling her in left and right to bring that rogueish smirk to their readers and she hasn't disappointed. Catch her on a runway near you - well, if you live near a fashion capital, that is. 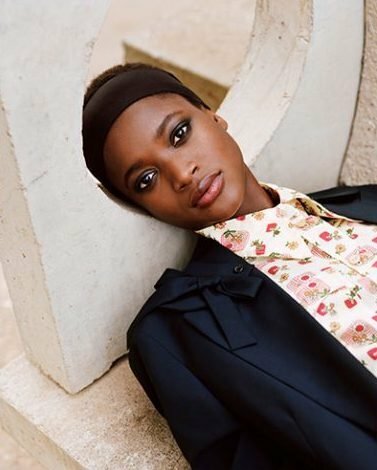 Fresh off a Miu Miu campaign, Olivia Anakwe proves that sometimes patience is golden. She had a steady start in 2015 and has been on the rise as of late with editorial appearances in Wonderland, W Magazine and Love. Need a further heat check? A Marc Jacobs beauty campaign brings it to a fever pitch! Discovered in Chicago, Olivia Forte has got that mind-meltingly marvelous personality that can take a girl places. Places like a Coach runway debut, or the set of campaign shoots for Versace, Miu Miu, Marc Jacobs Eyewear and MSGM. Magazines agree, like Love Magazine and W, she’s great to have around. A career that started with mega photographer Craig McDean and mega brand Zara foreshadows surefire success. 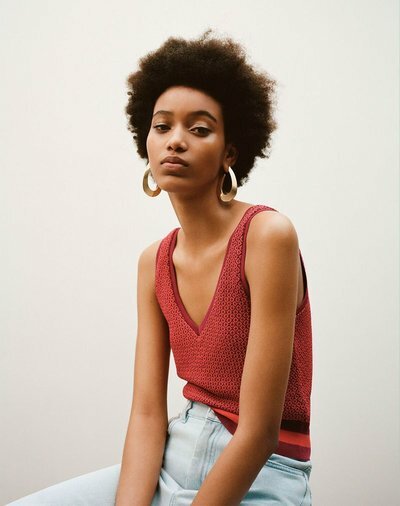 And Oumie has built on that first booking with campaigns for Miu Miu and Valentino, as well as editorial in American Vogue and Vogue Paris. All the stars are aligning for this new Swedish standout. We can’t get enough of Paloma and neither can the industry it seems. The Pat McGrath and Rihanna beauty muse has lived by her own rules, securing a fair share of high-fashion, top-tier pickings from American Vogue editorials to i-D covers, Glossier billboards to Eckhaus Latta runways. Don’t you dare roll your eyes at all that name dropping; a British Vogue cover seals the deal. 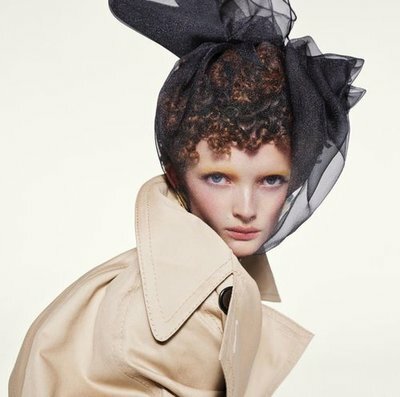 This English rose has been a mainstay on the pages of British Vogue for the past year with the likes of photographers Tim Walker, Steven Meisel, Willy Vanderperre and Alasdair McLellan all invested in her. Her British Vogue cover by Meisel somersaulted her to the top level and the moment that cinched it all together this season? A Marc Jacobs campaign all to herself - a rare feat in a FOMO casting type of fashion world. 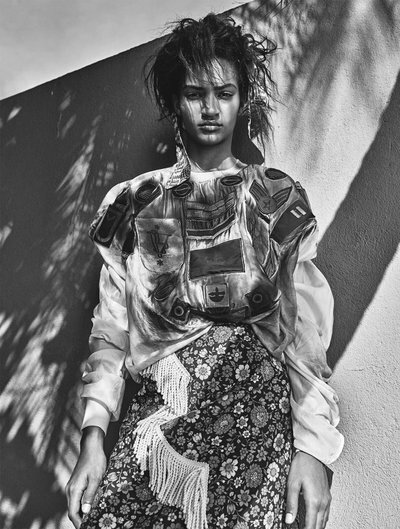 A bold beauty from Bangalore, Radhika has found her place in fashion's New World Order. Multiple British Vogue editorials (as well as a cover!) 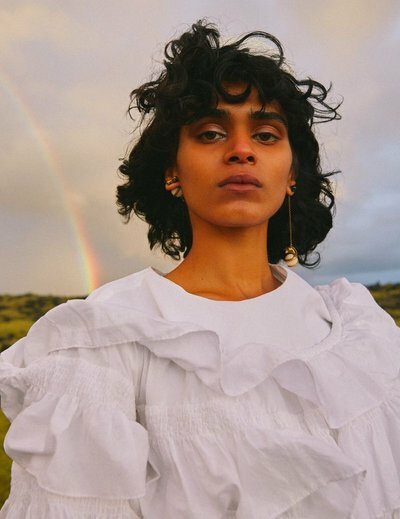 are clear evidence editor Edward Enninful is a fan, but he's not the only one: Radhika's campaigns for Chloe and Adidas demonstrate her cross-cultural cred and versatile allure. American girl Rebecca has picked up steam as she’s swiftly become the model darling amongst the fashion elite. 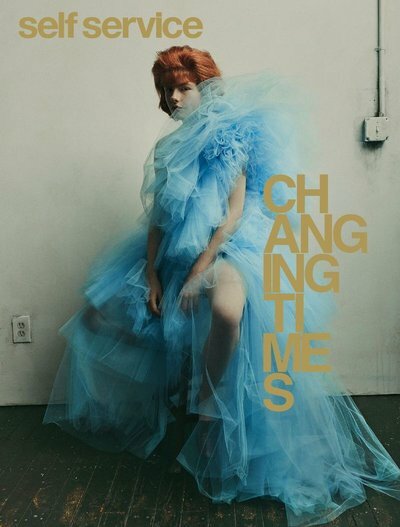 A solo Vogue Italia cover shot by Craig McDean was a milestone and campaigns with Chanel and Alberta Ferretti made her a contender. More bookings in that direction and she’ll a knockout! Remington went from carnitas to Calvin Klein, debuting at the S/S 18 show just months after being scouted working at Chipotle. 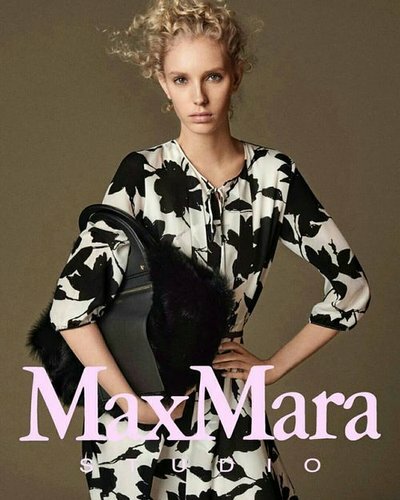 A Marc Jacobs campaign and Vogue Italia cover have followed, with this tough Texan’s gangly gorgeousness winning over the likes of Steven Meisel, Alisdair McLellan, Ashley Brokaw, and Katie Grand. Loquacious and much-loved, where isn’t Miss Daniels these days? Whether giving face for Gucci, Miu Miu and Marc Jacobs or adding some Mississipi mojo to Vogue Italia, Dazed and Love; Rose Daniels is always a wanted dose of the unexpected. 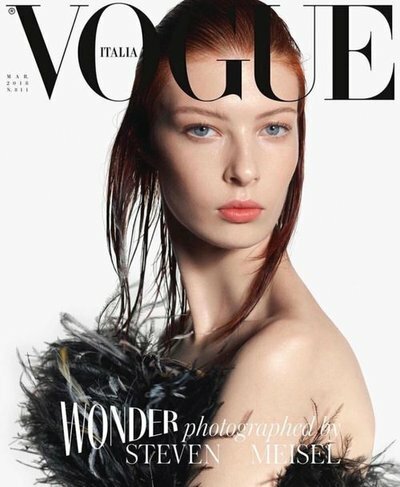 Ever since her debut at Louis Vuitton, Sarah Dahl has been steady rising as a new favorite landing a Numero cover shot by Solve Sundsbo, Vogue Italia, British Vogue, Pop, and Purple editorials with a newly minted Chanel campaign to seal the deal. There was already buzz building around striking Shanelle, with her appearance for Marc Jacobs Resort ’18 and two strong show seasons. 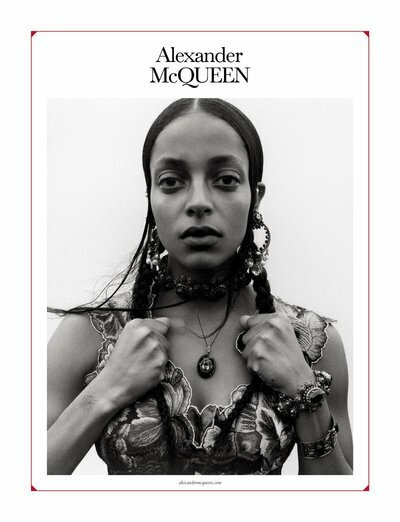 But now as the star of the Alexander McQueen S/S 2018 campaign and the Dazed Spring 2018 cover, Shanelle is sounding the alarm: book this girl and sublimely impactful imagery will follow. With her fourth campaign, one can say with confidence Louis Vuitton just loves this Norwegian. Ever since exclusively closing the luxury house’s S/S 18 show the ultra elegant Signe has been sharing call sheets with the likes of Sims, Vanderperre, Lindbergh and Schorr from LV campaigns to British Vogue and back again. Since Sohyun’s 2016 Wang runway exclusive, this androgynous beauty has been busy brokering deals with some luxe clients. The Korean model caught the eye of Marc Jacobs, MAC and Helmut Lang where she landed campaigns. Editorial tears from Vogue Italia, Le Monde M, Harper’s Bazaar US and Vogue China Sohyun proves she’s got the prowess needed to be a whole package. A sophisticated, contagious beauty, Sophie Koella has earned her stripes by building a portfolio that is deliberate and unhurried. The payoff is top-grade ad clients like Chloé or the mother of all magazines, American Vogue, that keep coming back. It hasn’t taken long for Tess to bless the upper echelons of high fashion with her evocatively editorial beauty. In just over a year the Rubenesque redhead has landed a Marc Jacobs Beauty campaign, the cover of Interview Germany, and appeared on the pages of Vogue Italia, Love Magazine and British Vogue. This ghostly Gucci girl has played muse since 2015 and has been a vital part of trippy visuals from the Italian brand. With the Helmut Lang campaign, editorials in Dazed and Numero, and a steady roster of avant-garde show appearances her ascent has been a cakewalk of top tier gigs. In just over a year Veronika’s fine art sensibilities have captivated the world of highbrow haute fashion, landing her the likes of consecutive Givenchy campaigns shot by Steven Meisel (who also shot her for MaxMara) and editorial with David Sims, Juergen Teller, and Nathaniel Goldberg. This Swiss Ms. doesn’t do cute — she does grown woman gorgeousness. 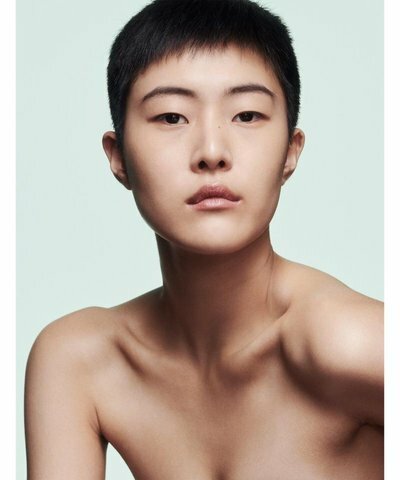 Two immaculate show seasons, a campaign for Prada, and work with Karim Sadli and Angelo Pennetta… Whether delivering elfin delicacy or powerful pixie, Chaoyu’s ability to transform her look with just a micro-expression has seen her rise rapidly to the forefront of fashion.